What Happens in a Constellation Circle? 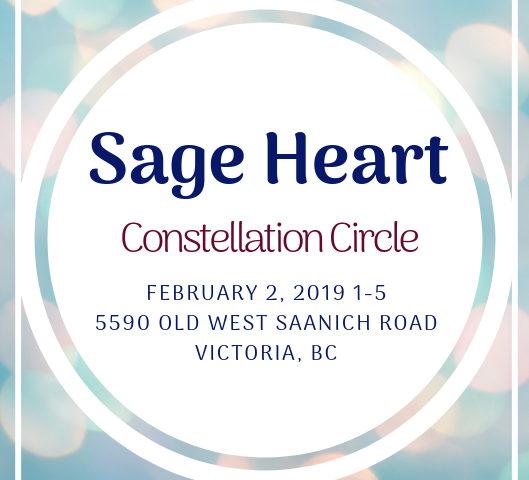 A constellation circle is a healing environment where we provide opportunity to witness the knowing field in community. The circle is a HeartField itself, as those that show up in any capacity serving as observers, representatives or clients, do so with their hearts open for a new way forward. We create space in ritual to come together to look at what wants to be seen in our lives, what is coming through to us in our personal field. We can bring these questions to the circle and allow the knowing field to express itself. We become vehicles for the flow of love when we meet in circle to do this work. A facilitator gathers a circle of people together. Some will want to be observers, some will want to serve as representatives and some will feel called and ready to look at an unwanted pattern they welcome resolution in. To start “a client” brings something to the circle they are ready to look at. Facilitator and client get clear and then agree on the issue. Then the client chooses representatives from the circle for members of their system. Next, the client places the representatives in relation to each other for what “feels right”. Factors such as space, distance and time will be represented by placement, and the placements will speak for themselves. After a time, the representatives will be asked for a report. They will report what they are feeling in the body. Staying true to the sensations and impulses that come up in the body from the field. The facilitator may then ask “reps” to make some movements in the circle, or may instruct them to follow “the movements of the soul”. Or The facilitator may utilize healing sentences and phrases by asking the representatives to say them if they feel they are true. Movements and statements are tested in the field. If the energy field moves toward resolution then we know the movements and words helped to move things in the right direction and had a good effect. At some point the constellation can arrive at a final movement. The client has the option at this time to “take their rightful place” in the system. Resolution is a feeling at the end of a constellation that provides a feeling of peace for all members of the system. We move towards a feeling of resolution if possible. This path to resolution unfolds itself in the movements and expressions of the representatives. Serving as a representative in community provides the opportunity to be surprised by the healing nature of the knowing field. It requires feeling the natural feelings coming up in the body. If the body is feeling cold and closed off this is a valuable report. If the hands feel tingly or the feet feel stuck these are all valid reports that can tell us alot about the energy relationships of people in the system. This is a place to allow the body to speak what’s coming through. It will speak, in its own way, as necessary. If you feel called to join us in circle, or just want to know more about this work please contact me. I am looking forward to connecting. 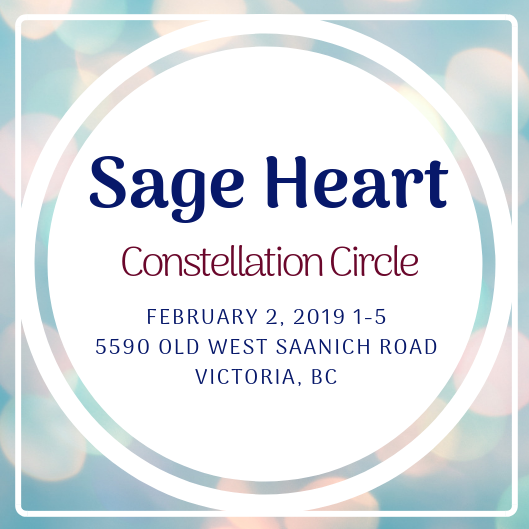 Our next circle in Victoria is on Feb 2nd. Click the box below to complete registration. If you plan to attend I want to hear from you!